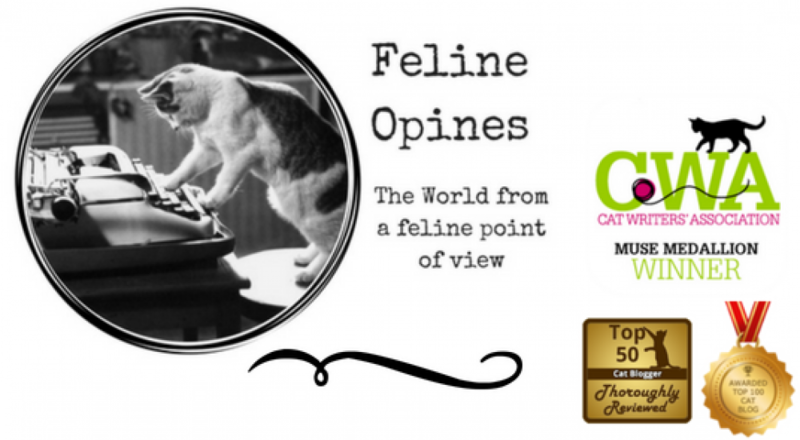 It’s been quite busy at the Feline Opines offices and we are way, way behind in reading and commenting on the blogs of all our fellow feline bloggers. But, we have our purrsonal assistant on the job and she should have us caught up soon. A-pawlogies for our lateness! I hope you all had a chance to see our Halloween movie. Let us know what you thought. We’ll be having a give-away for some Feline Opines merchandise soon so stay tuned! Sometimes the big hearts of humans just overwhelms me. This is one such case. As part of its commitment to putting pets first, premium pet food manufacturer, Petcurean, is pleased to announce the “Uplift the Underdog: Cat Edition” contest. The program’s goal is to help increase adoption consideration for “underdog cats” – cats who are traditionally less likely to get adopted due to age, medical challenges, appearance, or other issues. The contest is open to all rescue groups and animal shelters across the United States and Canada now through November 16, 2018. Two Paws up for Petcurean! I know that National Cat Day was two days ago but this article celebrating the fabulous feline in history is worth a share. The photo here is of Morris, that very famous feline during one of his purrress conferences. This is another delightful walk through history in celebration of National Cat Day. Okay, no offense intended to the artists but meowza, this is a thing??!! If these folks are making money from this we need to get our Human Slackers on the ball and do some drawing because trust me, they would be experts at poorly drawn cats, poorly drawn dogs…and the list goes on! And speaking of Human Slackers, this new study says that we felines prefer to work for our food. The Journal of Feline Medicine and Surgery found that, as natural foragers, cats greatly enjoy “food puzzles” or tricky feedinhg set-ups that require us to work for our food. Now I can say for myself that I love the food puzzles. Our Alpha Tucker would much rather be served his food than have to forage !